This unique design offers a modern and sleek look for your outdoor area. Using 6mm round core material, this range is sturdy yet lightweight in design. The range consists of chair, 2.5 sofa, coffee and side table all in Sepia Brown. The luxurious cushions provide extreme comfort for lounging and are available in a wide choice of colours to suit all tastes. 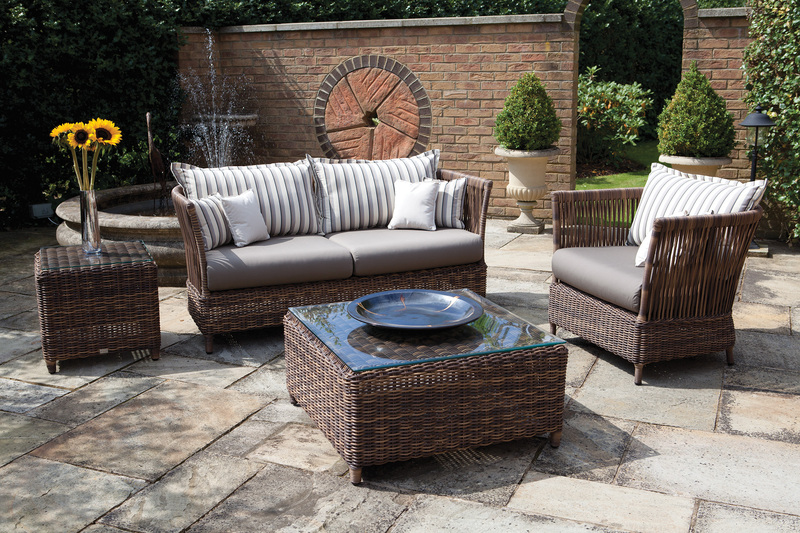 Using top quality aluminium as the frame, each item is woven by hand with the maintenance free synthetic strands, resulting in a highly durable product which can be enjoyed year after year with minimal maintenance. Shown in Durban Beige and Natal Taupe fabric.